Whether you are buying a new home or refinancing mortgage in Lancaster, PA, let Artisan's home loan experts help guide you through the process and you'll gain expert advice on 30-year fixed rate mortgages, ARM loans and more. With a wide variety of available mortgage products in Lancaster, PA including FHA, 203k, home improvement, VA and USDA loans there's something for just about everyone at Artisan Mortgage company. Our experienced mortgage brokers in Lancaster, PA are dedicated to providing outstanding service to each customer looking for a home loan, refinancing and mortgages throughout County including the nearby areas: Ephrata, Elizabethtown, Columbia, Lititz, Millersville, Willow Street, Mount Joy, Leola and New Holland. Don’t stress out over the paperwork – consult with an Artisan Mortgage expert today by calling 1-800-499-0141, fill out the form for a quick quote or prequalify here. An adjustable rate mortgage offers a fixed initial interest rate and monthly payments, but both can adjust on a scheduled basis to reflect changes in the market interest rate. You get a lower initial interest rate and payment in exchange for taking the risk that rates may rise in the future. This type of plan is designed for clients seeking long term financing or for clients that have a steady monthly income. Typically, a company acts as the escrow holder, receiving the down payment from the buyer and the mortgage payment from the lender, then paying the seller for the property. Once payments have been made, the escrow holder transfers the ownership document (called title) from the seller to the buyer. These steps normally take place at the closing. We offer equity loans for most general purposes, including debt consolidation, new or used vehicle purchase or college tuition. The loan amount is based on the appraised value and equity in your home. Best of all, interest payments may be tax deductible! Contact us for more information! Whether this is your first time to buy a home in Lancaster, PA or you've outgrown one and need to move on, Artisan Mortgage Company can help make the mortgage loan process easy for you. In fact, we'll even give you something to help with the really hard part - the house hunt. These credit reports will not include your score, and you will have to purchase that separately. You can request all 3 of the reports at one time, or one report at a time throughout the year. Some experts say that getting all of them at one time would be beneficial to you. The reporting agencies are separate entities and they won’t have all of the same information on them. We offer commercial loans for business startup, working capital, inventory and expansion, including small business administration loans. 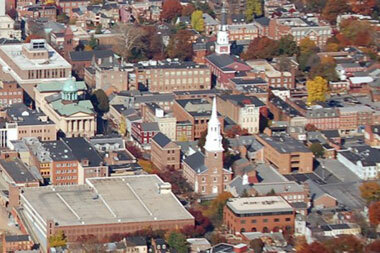 This program was developed to assist new first-time homebuyers in Lancaster, PA area. The program offers fixed rate financing at or below current market rates with closing cost assistance if qualified. We offer mortgages to individuals, not to profiles. We look at each application carefully, and after discussing the application and possibilities with the client, we make our decision. We don't just look at credit, we consider character. Whether you are looking for a commercial loan or line of credit for your business, AMC has the option to meet your needs. Have you been needing a new kitchen, bathroom, or what about that game room? Don't just dream about improving your investment, contact us and apply today! Artisan Mortgage offers home improvement loans for all types of residential properties. You do not have to have your financing with us to arrange a home improvement loan through us. Contact us for a quote on our loan rates. From everyday banking to buying your first home, financing your children’s education and planning for retirement, we are eager to work with you to achieve your financial goals. The knowledge, experience and our “can do” attitude enables us to offer you a multitude of great products and services. Stop by any of our offices and see for yourself that we are a unique financial experience. No matter what type of residential financing solution you are seeking, we are there to help. Find more home loan options here, or call us today to get started! The interest rate is subject to change monthly, adjusting as the Prime Rate changes. You'll receive a monthly statement showing the activity and outstanding balance. It's the newest way to have available cash these days, even when you may not need it. Planning to purchase a new or used vehicle, boat, snowmobile, 4 wheeler, mobile home, computer, etc? Our courteous, friendly lending staff will be happy to advise you about an installment loan that is designed to meet your needs. These are typically a fixed rate, secured loan. Rates and terms vary, depending on the age and condition of the collateral. Let the equity you have in your home put cash in your hand for any purpose. This revolving product can easily be accessed through your own convenient book of checks. See a AMC representative today to learn more and discover the advantages of a HELOC. To decide which type of loan is best for you, view our mortgage comparison chart. For more information, review the checklist for required documentation or obtain a pre-approval letter. Other than a good mortgage broker, there are a few tools you'll need when looking for a home financing. These financial calculators will estimate your potential monthly payment, determine how much income you need to qualify, show you annual percentage rates and show you how to save interest on payments. If you are looking forward to a special vacation, or a way to reduce the payments on your credit card debt, start your own small business, pay for a college education or make those long delayed home improvements, AMC can make your wishes a reality with our Equity Line of Credit. Homeowners who plan to close on a new loan before they sell their current property often seek a bridge loan as short-term financing to "bridge" the gap between these two transactions. Just a note to say thank you for help with our loan. We inquired with just a hope that maybe we could somehow get some help with our financial situation. You handled our situation with the greatest of professionalism and care in such a quick manner. Thank you. If you haven't yet ventured into the world of non-prime loans, there has never been a better time! Rates are going up and the non-prime sector is exploding. If you are already working with non-prime clients, then you definitely need to call AMC and discover how you can keep a lot more profit in your pocket. Interested in refinancing rates? Artisan can help with that, too. Thinking of Refinancing or Purchasing? If you're interested in refinancing your current mortgage in Lancaster PA, or obtaining a new loan for a home purchase, our loan officers would be happy to assist you. Mortgage refinancing may reduce the number of years it will take to repay your loan or help lower your monthly payments. Our lenders can help you decide when refinancing might be right for you. We take pride in offering low Pennsylvania mortgage rates. Our committment to offering exceptional value without sacrificing service results in satisfied customers who return to AMC for their home financing. Talk with Artisan mortgage experts now at 1-800-499-0141 to learn more about financing options you may qualify for so that you can get out and start enjoying what all citi has to offer. Get started on your new home loan today by filling out the form on the page to request a mortgage quote. Artisan Mortgage Company offers various residential loan programs to first time home buyers and owners in Lancaster, PA from top lenders throughout County including bad credit, USDA, VA, FHA home improvement loans across the following cities: Ephrata, Willow Street, Columbia, Lititz, New Holland, Elizabethtown, Leola, Millersville and Mount Joy.